Driftwood is a beautiful wood to use in the home. This type of wood is the perfect look for beach houses and/or cabins. Driftwood is beautiful in any home! It can be used in multiple ways. 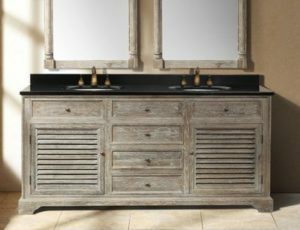 Driftwood cabinets are an awesome way to give a home a rustic or beachy vibe or even a polished and glistening appearance. This driftwood cabinet gives of the more rustic look. The beautiful white gives off a unpolished, but unique look. The driftwood looks great with white counters, and simple paint schemes. The rustic look of these cabinets is perfect for any beach lovers! This driftwood is more of a clean, and flashy look. The black counter tops give a beautiful touch to the driftwood cabinets. These cabinets appear to be fancier, and are the perfect color for a dark color scheme. 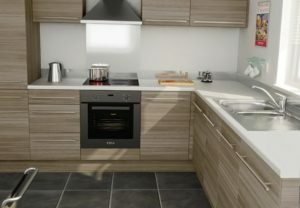 Driftwood is not only used on kitchen cabinets, but also frames, decor, and smaller cabinets. These smaller cabinets are perfect wall art for beach cottages. 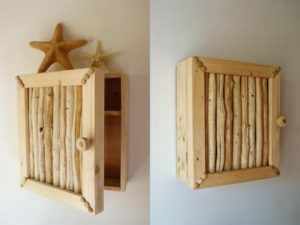 The driftwood can be found on the beach, and can be used for a fun DIY project like this cabinet! The starfish are a nice coastal touch as well! This up to date kitchen has driftwood cabinets, and still has a newer look to it. Driftwood cabinets can be rustic and beachy, or gorgeous and sleek. The white counter tops, and black appliances are perfect along with the cabinets.